Notice: As of January 11th, 2015. All items for sale are temporally on hold until Ed's estate is settled. Please check back later for updates. 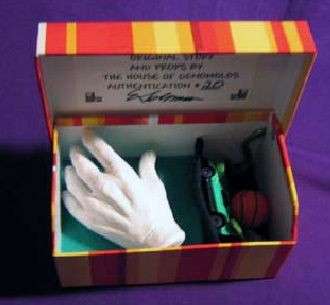 In addition to our library of magical texts and presentations, The House of DeNomolos offers a limited edition line of hand crafted magical effects. When creating the props for the DeNomolos presentations, occasionally more than one set of props is made and available to the magical community. Fewer than twenty are ever produced, as our market is limited to a few discriminating collectors of such. 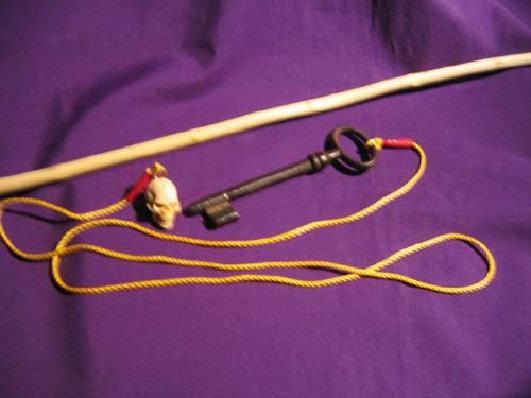 The following lists both the books and available props. Come back from time to time to visit and see what has been added. (Volume one of a set of three) $85.00 plus shipping and handling. The book is a compilation of the first six books of the series called Presentations For The Storyteller. This compilation is a large, hard back of some 500 plus pages. Multiple gray black & white photos and an easy-to-read font type with nearly 150 presentations with full script and pictures of the props. This collection of Presentations for the Storyteller is a series of twelve books. They are currently available in individual E-book format made available on CD-ROM. These books will eventually be compiled into a hardback book. Until that time they are being sold here. These books and their table of contents can be previewed in the "Stories" section. This is a collection of Native American presentations as told by DeNomolos. Each story explores life experiences and native culture. As contributions to the ORACLE magazine, this collection of twenty-two presentations, that has been read or will appear in there in the future. Twenty-one additional presentations to add a bizarre touch to your storytelling. Motivational, mysterious, emotional touching stories for the discriminating performer. Another 21 sparkling presentations for the storyteller. There is an on-going, ever-growing collection of stories and magical presentations, which with completion of, will be announced here. A child sized rapping hand centered in a bizarre presentation with kiddy keepsakes and a haunting story to bring tears to your eyes. 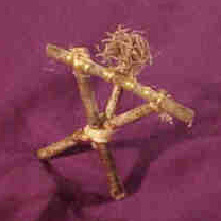 Like the Okito straw doll this unit stands in the hand in a dramatic presentation of sensory perception. $15.00 Plus tax -- six remaining. Brass nut removes itself from steel screw when dropped into the canister. $50.00 plus tax-- several sets in storage. Inquire about availability. 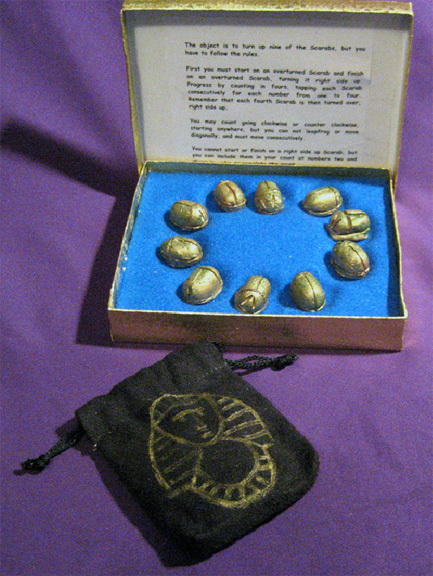 A puzzling presentation of an Egyptian ritual taught to the children of ancient Egypt using hand made scarabs. $25.00 plus postage --- eight remaining. 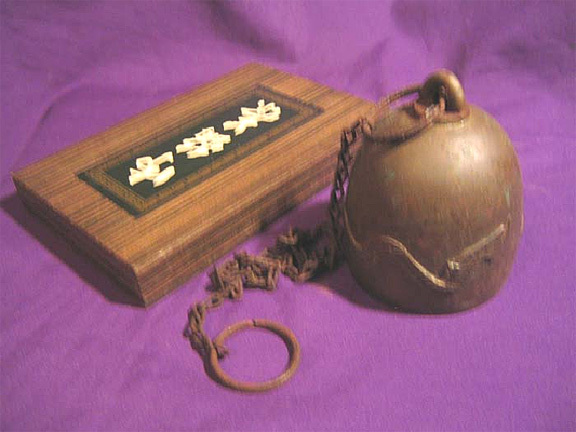 An exotic bronze bell packaged in an ancient tea box rings only when in the presence of its own temple picture. $50.00 plus postage -- ten remaining. 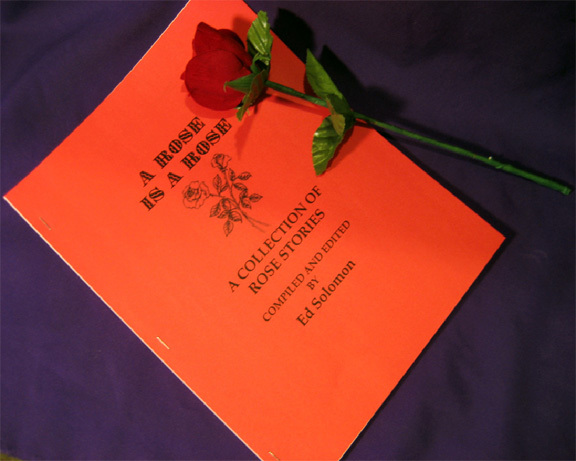 A sturdy production rose and a booklet of rose presentations with charming stories for different occasions. Extremely limited production item made of brass with velvet flower. $12.00 plus postage -- eight only. Very scarce liquid crystal dome that visualizes the human pulse in a heart stopping presentation. Very unusual. Watch for more products in the future! "If there is a story that you would tell, tell it well or not at all."